Inline skating is about going fast in skates around an oval track with the purpose of getting to the finish line in the shortest possible time. This is a very complete sport that helps blood circulation and also helps to improve our health generally. 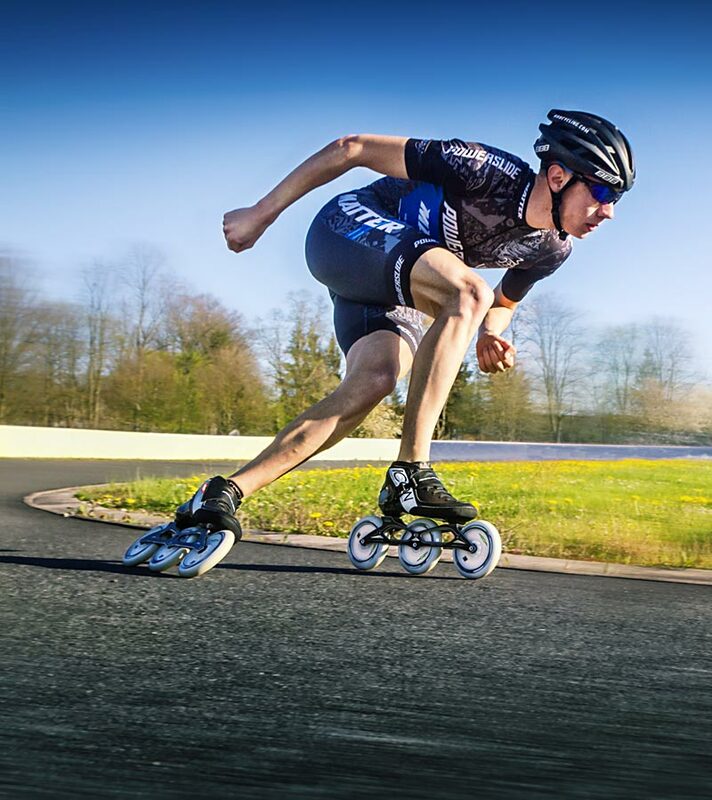 According to the Inline Skating Resource Centre, Dr Carl Foster says that skating is a sport as beneficial as running or cycling. In addition, in a study carried out, line skating was assessed in terms of aerobic benefit and calorie expenditure benefits as just as good a way to exercise along with running or cycling. Another study showed that skating for 30 minutes burns 285 calories and generates a frequency of 148 beats per minute. Regarding its anaerobic benefits, the study mentions that inline skating offers more benefits since it's a sport that develops the muscles of the legs and the hip, making this a more helpful activity to try. In addition, two studies carried out in the state university of St. Cloud in Minnesota demonstrated that this sport develops the muscles of the upper part of the legs, the hips, the lower part of the back, and also the shoulders and upper part of the arms, as these are used to swing while you are skating. One other study shows that inline skating wears the joints 50% less compared to other sports. It also explains that this is one of the least harmful sports for the joints, compared to running for example. According to Inline Skating for fitness, skating has many benefits such as helping the heart, giving you more energy, helping blood flow, improving muscle strength, flexibility, aiding the bones, internal organs, and developing stomach muscles. Also, the muscles that are used to breath benefit, as the lungs work more. Also, it helps to increase flexibility, especially in the inner muscles of the thighs, which also generates more strength. In conclusion, skating offers many health benefits for your health. That is why I recommend this sport, because it helps to improve your quality of life. Nowadays, social networks have become a fundamental part of people’s lives. In order to put this in context, it is important to mention that the population of the world is approximately 7.5 billion people, and of those, 4.2 billion use at least one social network. 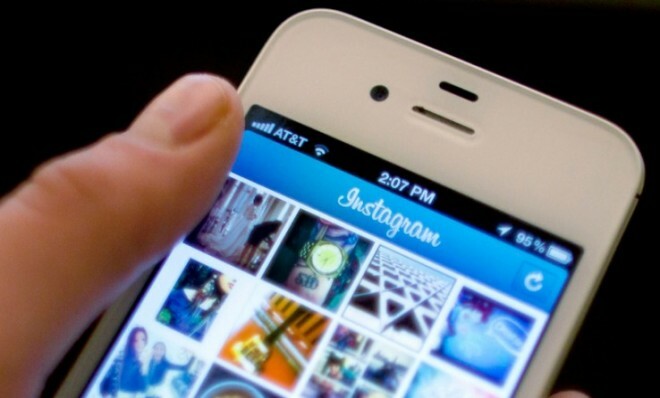 One of the most famous and popular is Instagram, which has almost 800 million users. It was created by Kevin Systrom and Mike Krieger, and it is an application in which people upload photos and videos, which can also be edited and shared in other social networks. Instagram is a social network in which most people upload their best photos, their best videos and their best moments. It is a social network in which you can find different content: fashion, cars, food, culture, history, jokes, and places. People also use it to show what they have, buy, and eat. In fact, most of the posts are nice, beautiful, stylish and in “perfect”places. However, this can also make people feel bad about their lives. Many allow that vision of “perfection” of others' photos to make their days unhappy, because you stop valuing what you do or what you have. In fact, the use of social media has effects for many young people's physical and mental health: there is a dark side to using Instagram. According to the newspaper "El Tiempo", Instagram is the social network which most affects the mental health of young people. It generates depression, lack of sleep or "fear of losing something". Dependence on this social network affects approximately 15% of the youth today. In addition, a large number of studies confirm this information. One which was conducted in the UK by the Royal Society for Public Health, argues that it is a more serious addiction than cigarettes or alcohol. Hernán Cubillos who is a psychiatrist at the National University, said that “there comes a point at which this addiction becomes 100 percent of your life, and when something negative happens on social networks, such as not having enough 'likes' on a publication, this begins to generate symptoms of depression in young people." Self-esteem can also be affected. According to María Victoria Pérez, a psychiatrist at Javeriana University, "in adolescence body image is always very important, as it is one of the factors that makes this period more vulnerable due to all the physical and emotional changes that occur.” As previously stated, the photos that are published are often focused on exposing the body, wearing the best clothes, or wearing swimwear. 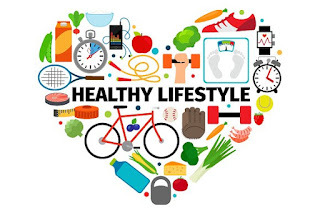 In several cases it is intended to show that everything is done well, and that a person has a perfect lifestyle with time to go to the gym, eat healthily and also time to enjoy life. According to Pérez, this tendency makes young people constantly compare themselves to each other. There is also a psychological phenomenon known as 'salience'. This is the desire to get attention and learn everything quickly, according to Jaime Moreno, a psychologist at the University of La Sabana. It is a sign of impulsive behaviour in young people. It is important to notice that in the last 25 years, in England and the United States, anxiety has risen by up to 70%, which is linked to new technologies and especially social networks. In my opinion, it is not bad if people use Instagram. The mistake is to forget that we are not perfect, that we all make mistakes, that we all have the right not to be happy all the time. In addition, it is important to create strong self-esteem, believe in who we are and feel safe. The life of football fans in England has changed since the 60s. Although the word "hooligan" has a history going back to the nineteenth century, in the last half of the twentieth century this lifestyle became famous in the stadiums of England, as fanaticism and love for the team of preference led some fans to fight to the death. David Stevens is from south London and a West Ham United fan. One day at 17 years old, after a match near Burnley Stadium he found himself in the middle of a fight between fans of Burnley and his team. 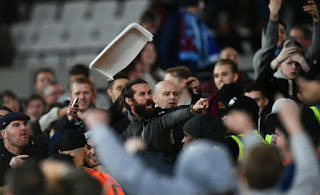 As he was wearing the West Ham shirt, several fans of the other team started to attack him; the fight lasted about ten minutes, at the end of which he left without many blows thanks to the protection given to him by his own team's hooligans. From there, David felt like part of a family. His life changed and he found a way to live, that gave his life meaning and brought him close to other people who shared that feeling, that emotion. After he started his life as a hooligan, everything changed. His family life began to be absorbed by his friends, long trips to different stadiums consumed his time and his plans changed. He worked in a pub on weekdays to be able to pay for his different trips. Fights, matches and large amounts of alcohol were his lifestyle for a long time, and constant broken noses and fractures remain as a mark on his body. Hooliganism is a way of life, which represents different psychological behaviour such as a feeling of anger. The people that are part of this group love violence, love the adrenaline that causes them to fight and love blood. It is an emotional disorder that makes people create the feeling that they belong to a club. When David's first son Matthew was born, he was really happy, as he'd fulfilled his dream of having a son, a member of his family who would share his same love for football and West Ham United, a son who would go with him to all the matches and who would follow his lifestyle. Matthew's first sixteen years were focused on football and West Ham, and David went with him to every single match. Every day that shared feeling of love for the team caused them to share a connection that is inexplicable. David became the leader of the West Ham hooligans, and for that reason their time and forces were dedicated to organising trips and fights in stadiums around the country. One day close to Emirates stadium, a fight changed David's life. After a match between Arsenal and West Ham, a huge fight caused the death of fifteen people including Matthew. Five Arsenal fans attacked Matthew several times. This caused a a heart attack that would lead to his death. Despite the doctors' best efforts, he couldn't be saved. The hooligans, football, and fighting had caused Matthew's death. After that, David started a different life. The feeling of love for the shirt was changed for a feeling of guilt and nostalgia that does not let him feel alive. He started to hate football, and everything that had ended his son's life. David started to recover from the English disease. Hooliganism is not a way of life; it’s an atmosphere full of violence, rage and death. We hope that fans can enjoy football with peace and love, that they can watch a match with fans of another team, and that they can love a shirt without the need to fight. We hope that the English disease can be cured. To write this article I decided to see how much time I spent using my cell phone last week. I realized that every day I'm on the phone for 2 to 3 hours, which means that during the week (Monday to Friday) I used the cell phone for on average 15 hours. The applications that I dedicated most time to were Instagram, Twitter and Facebook. Up to this point, it seems that it is the common way that anyone uses his or her cell phone. However, with this mini-experiment I realized that I usually interrupt my activities by taking a look at the cell phone, or I feel the need to check in between classes, or while I'm on the bus, even if i don’t need to communicate with anyone. I just slide my finger on the screen and get lost in the sea of photos, videos and quotes found in these applications. According to an investigation made by Dr. José Matías Delgado, addictions are "repetitive habits, lack of control of a pleasant behavior that compromises the person in all areas including health". With this definition I have begun to believe that I have some degree of addiction to the cell phone, which generates anxiety. After the mini-experiment I spoke with family and friends to try to discover what makes us so aware of the cell phone, and we all agree that it is an easy way to communicate, to know about the lives of others without asking, to give our opinions, but above all It is a way of being in many places without even moving. The reflection I make about all this is that the way we connect with the world has distanced us from ourselves, separates us from our activities and has taken a good percentage of our concentration. It has generated a dependency and addiction that we are hardly able to assume. Find the other testimonies from this article in the January 2019 issue of Ink Magazine! 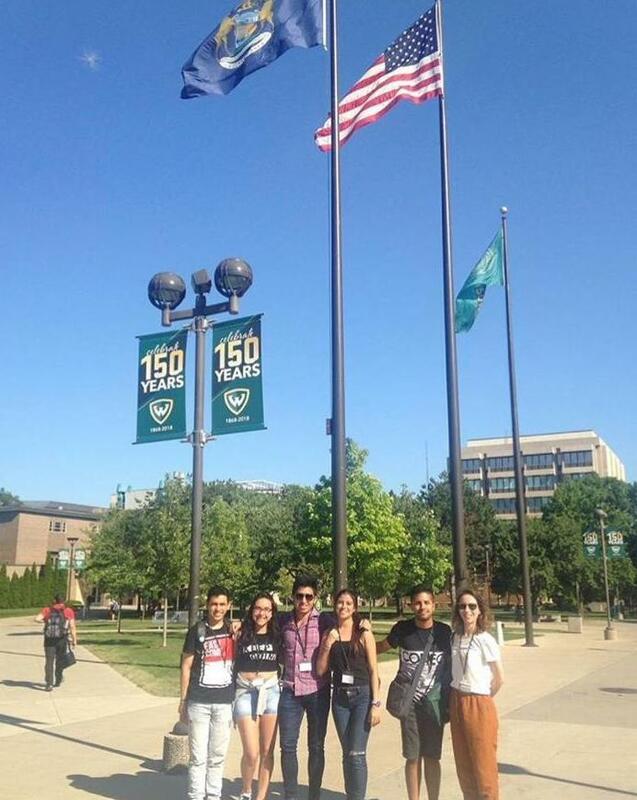 Five students from Externado de Colombia University travelled to Detroit, Michigan, in the United States from July 7th to 15th 2018, as they got a once-in-a-lifetime opportunity: a full scholarship to attend the Ralph Bunch Summer Institute at Wayne State University. This allowed them to enhance their knowledge about the challenges faced at community level concerning pressing issues such as high levels of poverty and racial division, among others, in this American Midwest city. Through the summer program Building Peace upon War, an initiative from the Faculty of Finance, Government, and International Relations, Externado de Colombia University won the highly competitive grant from the State Department - 100,000 Strong in the Americas - making this a reality. In exchange, seven students from our counterpart in the United States attended our summer program, likewise fully funded, and having the chance to know the dilemmas faced by Colombian society. They were able to see how the implementation of the peace agreement reached in La Habana is unfolding, amid deep political divisions. Their academic experience was complemented by a field visit to the Llanos Orientales. Here are the testimonies of students from Externado de Colombia University who attended Wayne State University and vice-versa. We couldn’t be prouder of them! I am really interested in the history of the civil rights movement and how it changed the way people think about each other. The opportunity to go to the United States, and while being there listen to Americans and attend conferences at the Ralph Bunch Summer Institute in Wayne State University, enabled me to get a better understanding of the way issues like racism, discrimination, and violence - physical as well as symbolic - are present not only in ‘developing countries’, as usually categorized, but also in ‘developed’ ones. For me, the main aspect I learned is that you gain a different perspective when you go to a community and talk to their residents, instead of reading about it in a book. Last summer I was fortunate enough to participate in a study abroad program alongside Dr. Sharon Lean and several others. We were to study the conflict and peace negotiations happening in Colombia. I enrolled in the course having no prior knowledge of the country and conditions but coming out, I feel that I gained a unique perspective. While abroad we met many unique characters, some of which included ex-rebel members, victims of conflict, government officials and students working to improve their community. While there, too, I was encouraged to pursue my own academic interests and compare knowledge. These experiences have made an everlasting impact on my work. I hope that others would seek out opportunities to study abroad. I will define this amazing experience at the Ralph Bunch Summer Institute in Wayne State University with one word: Resilience. African Americans in the United States instilled in us a way to reconcile after being discriminated against and subjected to violence, by showing us the power of forgiveness. In Colombia many people have suffered in the context of the armed conflict, and we can see the human rights violations and International Humanitarian Law infractions that resulted from it. As a result, people lost confidence in their institutions, even including the government, which reached a peace agreement to end military confrontation. Societies face the issue of forgiveness, as we all do as individuals. After all, our values are put to the test in order to prove if we have what it takes to be peacemakers. At present, I would say, we need to foster the ability to create better relationships within society, otherwise we will repeat the same mistakes of the past. My experience in Bogotá, Colombia, was one I will never forget. Before my trip, the only time I had heard of Colombia was in regards to Pablo Escobar, but I did not have much knowledge to offer to the conversation. Now, I am able to speak about the disarmament, demobilization, and reintegration program that Colombia’s government has worked towards, in order to bring peace to the conflict that overwhelmed the country during and after the war. This is something I was able to witness with my own eyes in Meta, Colombia, where we met ex-combatants that had reintegrated into society. Along with this, I now have knowledge of the history behind the growth of the drug trade and how its prosperity provoked a need among the government to intervene with peace instead of more conflict. Most importantly, my trip to Colombia taught me of the hospitable, humble, and intelligent students of Externado de Colombia, friends that I am forever grateful to. I wish you all and Colombia nothing but the best. I used to think that the United States was a country where all the people were boring, serious, and classist. 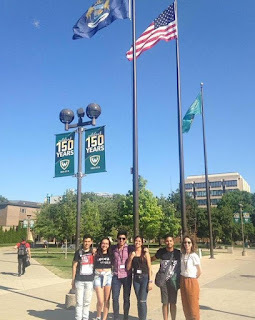 Soon after arriving there, I realized that the people at Wayne State University, while attending the Ralph Bunch Summer Institute, were extremely kind: professors, students, friends, and members of the community in general, as every day they were very helpful. I was able to learn about the contentious issue of race in Detroit, and how the community developed a neighborhood to overcome the problem of discrimination with parks, activities, and social work. I witnessed the problem of the police force within the community, and how they managed to deal with it through the inclusion and the participation of other actors. During the Spring/Summer semester of 2018, I came across the opportunity to study abroad in Colombia in a political science course comparing the challenges of peace and reconciliation in the Colombian conflict and the race conflict in Detroit. While in Colombia, after learning from government leaders and well-established researchers, we travelled to a rural part of the country to meet with victims and ex-combatants of the Colombian conflict. By understanding Colombian life in the context of war, we were equipped with a new understanding that traditional lectures and readings could not provide. In both Detroit and Colombia, after periods of high tension and violence, there still exists negative peace - the presence of structural violence in the absence of physical violence. Learning from Colombia’s peace accord in sustainably breaking down structural violence, I have taken away lessons to implement into my efforts within Detroit. From my experiences locally in Detroit and internationally, I have appreciated the value of direct interaction with the communities we serve. Drawing parallels between Detroit and Colombia’s turbulent history, I have learned how conflict among groups of people shape their identities for generations to come, subsequently shaping these groups of people’s access to quality healthcare. For the course, I constructed a final paper exploring the history of the conflicts in Detroit and Colombia, comparing Colombia’s reintegration program for ex-combatants to Detroit’s organizations that serve the homeless and impoverished, and outlining lessons from Colombia’s model that can be applied within Detroit. Throughout my medical career, I will share this sense of urgency in interacting with the community directly, understanding that the decisions patients make are constrained by the choices they have. Time to be a Fit Person! Do you want to be fit? If that’s what you want, you should do it for your health, but not for fashion. Being a fit person means being well physically and spiritually. The first thing to do is to love yourself, and to want to be the best version that you can be. This would be an excellent idea for Externado students, because at university, many students have a lot of stress and having a fitter life could help us not only to reduce our stress, but also to have a better body, have good health and be better students. 1. You need to eat! Yes: eating six times a day is important, because if you don’t eat breakfast, for example, you will feel anxious about wanting to eat more. We should eat more vegetables and less fats and carbohydrates. Between class, you can eat some fruit. 2. 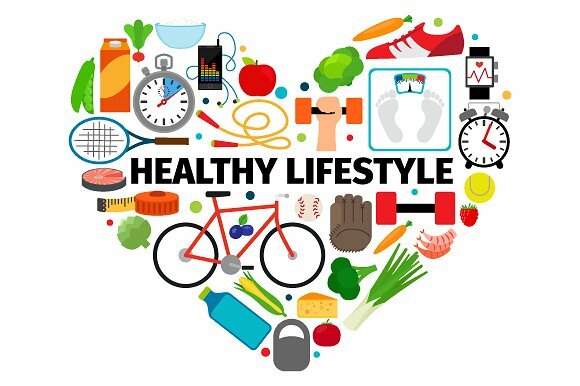 Exercise is very important because it helps to reduce heart problems and obesity as well as treating stress. At university you can go to the gym, take part in different activities that Bienestar has, or go to Alcazar with your friends and do some sport. 3. Don’t forget to sleep. Your body needs rest because if you don’t sleep, you will have concentration problems, your physical appearance won’t be very good, and you’ll feel anxious. You can take advantage of your free time by sleeping in “El Solar” or in the university’s hammocks. 4. Invite friends to do these activities with you, so you have more fun and you can support and encourage each other. 5. Make a list of your goals so it’s easier to fulfil them and you can evaluate your own progress. My most important recommendation is never give up; always be positive, and do the exercise that you like best. For example, you can dance, do yoga, go to the gym, or go for walks and you will see the results. Are you looking for the best place to eat? There are thousands of restaurants near the university: some of them are fast food restaurants, while others are traditional food restaurants. People think they can only eat fast food because that’s what the nearest places sell, and they need to eat somewhere close to the university so they won’t be late for class. But this isn´t healthy. A much better option is the “Saludable Restaurant”, which is in Mandolinas street. People need to change their eating habits, and for that reason, I recommend this place. The owner is so kind with the customers, and she makes delicious parfaits and fruit juice. The best is that all these food is organic, which is healthier that eating fast food! It’s close to the university, too. The fruit she uses is fresh and she makes all these with love. So, you really need to go there, not only for the service, but also because of the taste. The taste is excellent! From my experience in this place, I’ve got to tell you: the first time I went there was in January, when I started my university life. I really liked the smoothies, parfaits and the fruit. All the food in that place is delicious and healthier than the food you find on the street. Why is it healthy? Because the ingredients that they use to prepare the food are organic, so it´s better for you. 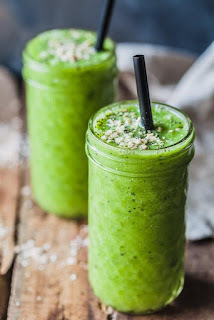 Also, all the juice has different purposes like detox, anti-flu, antioxidants, refreshing and energizing. This place doesn’t just offer you what I already told you, but they also offer a healthy lunch for a low price, healthy cookies, and more. I recommend everything there, so you need to try it now! You can recognize the restaurant because it’s a small orange house in front of the Mandolinas university building. They have small chairs next to a white door, and the healthy restaurant is divided into two parts. At the front, you can see the place where they prepare juices, parfaits, smoothies and sandwiches and at the back, there’s the place where they prepare the lunches. Near to the university you can find many restaurants that offer you fast food and many of them are not healthy, but this one offers you the possibility to eat healthily for a good price. The service is also pleasant and it’s a good option when you’re deciding where to have lunch.